NINa: How many semitones are you shifting the pitch by? M D Clayden: I tune to D,G,C,F for Pitchshifter's first 8 albums and C,G,C,F for the last album and the This is Menace album. Every of your album was released by different labels. I suppose the next one could be put out by PSI or Invisible Rec., but the question is what label was the best to cooperate with? Lots of musicians who previously played in metal/industrial bands (others too but I'm mostly interested in that music genre) cumulated their experience and run record labels. How's the PSI label going on? It seems that This Is Menace is your biggest star. Are there any plans to release Doheny on PSI Records? Doheny broke up earlier this year. This is Menace is going really well with a big live show in London in December. We have some special surprises planned for next year-but I can't tell you what. I'm sure lots of your fans have been watching anxiously and closely for any news about a new record of yours. How are things in the recording studio? We have some special surprises planned for next year-but I can't tell you what. What's the current situation with Jim Davis, will he feature with the band in the future or will he contributing to the new album? You have been playing since 1990, released lots of albums. My fav is 'Desensitized' :) Which one are you the most proud of? 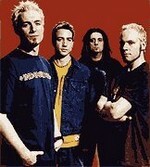 We are most proud of www.pitchshifter.com as it was a ground breaking album. It was too far ahead of it's time and everyone caught up with us 3 years later. You put out lots of singles and records to the Far East, mostly Japan. Why did you put so much interest to that market? 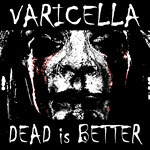 Pitchshifter's biggest markets are UK, France, Japan and USA. So it makes sense to support those territories. How about using samplers, sequencers etc.? You've been using it from the very beginning so how can you evaluate the changes in equipment and applications since the early 90's? 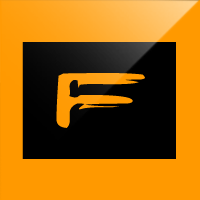 Do you have a favourite music software producer? Many years ago we used to use Cubase and now we use Logic. Technology is un-stoppable and constantly changing. Technology is just a part of what we do. Pitchshifter is probably the first band with British roots who found fans and copycats in industrial/metal music scene all around the world. How does the scene look now in the UK? America dominates the music scene in the UK. Industrial music has been driven back underground. 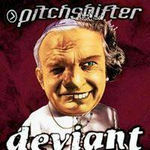 There is the pope John Paul II on both 'Deviant' and 'Dead Battery' covers. I saw 'Deviant' several times in Polish music shops so I can assure it's not banned in Poland ;) How does the image of the pope on the cover of your album relate to the music that's on the album? Artistic provocation? The original artwork is by GEE VOUCHER from the amazing UK punk band CRASS. We have all been fans since we were young. Crass were extremely political and a huge inspiration for Pitchshifter. If you had to sum up the current Bush Administration in a sentence, what would you say? The blood of many murdered innocent civilians is on the hands of America. It would be awesome if any of Pitchshifter song was remixed by Charlie Clouser. Have you ever contacted him about such venture? The recording of which clip gave you the most pleasure and fun? We once recorded a version of NIB by Black Sabbath for an Earache compilation CD. That was a good day. Is there any option for 'Tribute to Pitchshifter'? Who is going to support you during the UK tour in 2006? I won't decide that until January-but it will be an amazing tour. See you down the front. Pictures grabbed from the Internet, all rights reservedby their authors.